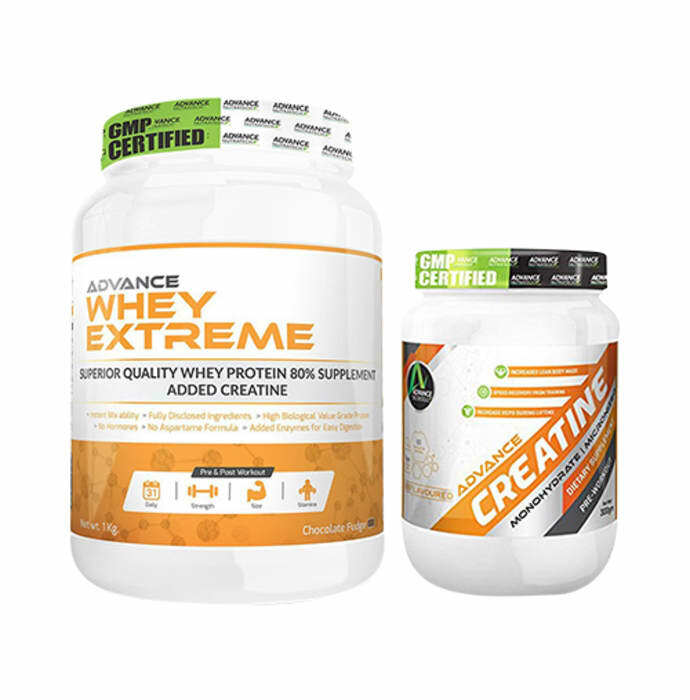 1) Advance Nutratech Whey Protein Extreme Powder contains whey proteins and amino acids as main ingredients. 2) Advance Nutratech Advance Creatinine contains Creatinine as main ingredient. - Use as recommended by gym instructor or nutritionist. 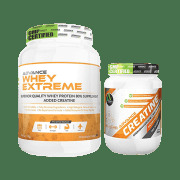 A licensed pharmacy from your nearest location will deliver Advance Nutratech Combo Pack of Whey Extreme Protein Chocolate 1kg and Advance Creatine Unflavored 300gm. Once the pharmacy accepts your order, the details of the pharmacy will be shared with you. Acceptance of your order is based on the validity of your prescription and the availability of this medicine.